Transport materials easily and securely. Rugged 3/4" thick plywood decking with lacquer finish helps reduce noise during transport. Each truck includes two swivel and two rigid casters. 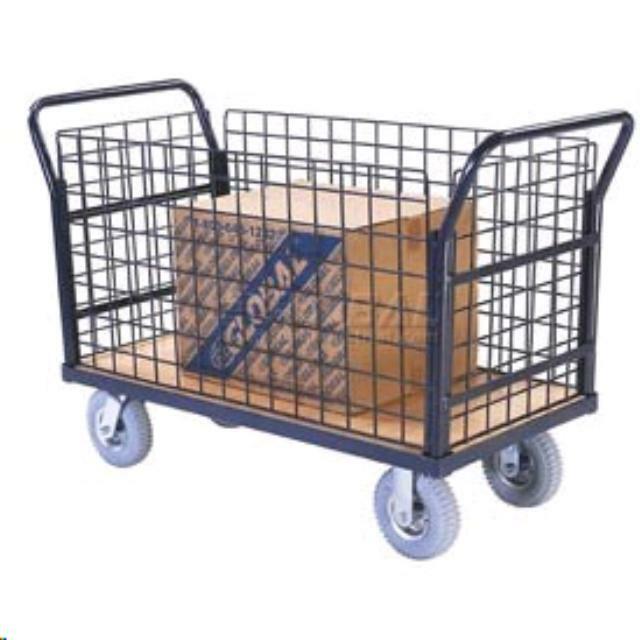 * Please call us for any questions on our cart wire side 48 inch x24 inch rentals in Cornelius NC, Lake Norman, Mooresville, & Davidson, North Carolina.